Kentucky Derby Winner’s Circle Cupcakes | I Wanna Bake! I learned the morning of the event that I didn’t have the correct piping tip to make the cupcakes look just right, so I made due with what I had. If I were to try this in the future, I would use a Wilton 2D tip instead, or possibly learn how to make fancy roses with frosting petals like these. 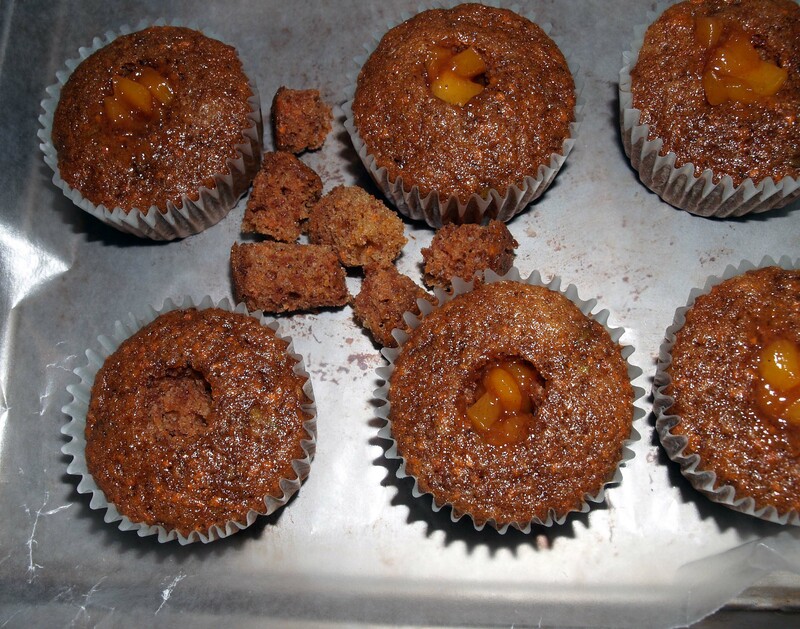 I might also make bigger holes in my cupcakes so they could accommodate more peach filling. Take note that the gel food coloring is really essential here. The molasses turned the frosting brown, as you will see in the photos, so it took extra dye to compensate. Adding too much liquid food coloring can affect consistency and taste, but you don’t need as much gel coloring to get the same results. I probably could have used more to get a deeper rose red, but I happened to like the color I made, so I stuck with it. My newfound obsession with Uptown Funk has brought me back to my funk phase, so today I will suggest a funk playlist. To get your feet wet, Parliament won’t disappoint (admittedly, this is the only album I have). If you’re a seasoned funk listener, I suggest diving right into Bootsy Collins (this album is hands down my favorite, mostly because of the awesome cover). If you want something more contemporary, Jamiroquai will also hit you in a funky place. Today’s musical selection has nothing to do with the baking task at hand, I just like funk. Let’s turn up the funk, put on some star-shaped sunglasses, turn the tv to the horse racing channel, and get baking! 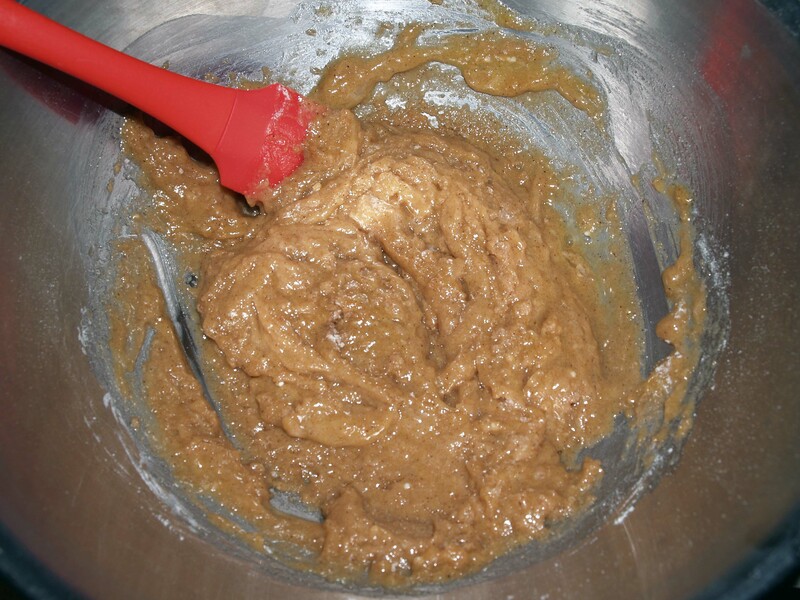 Whisk together the flour, sugar, baking soda, baking powder, spices, and salt in a large mixing bowl. In a small bowl, lightly beat your eggs and beat in the vegetable oil. 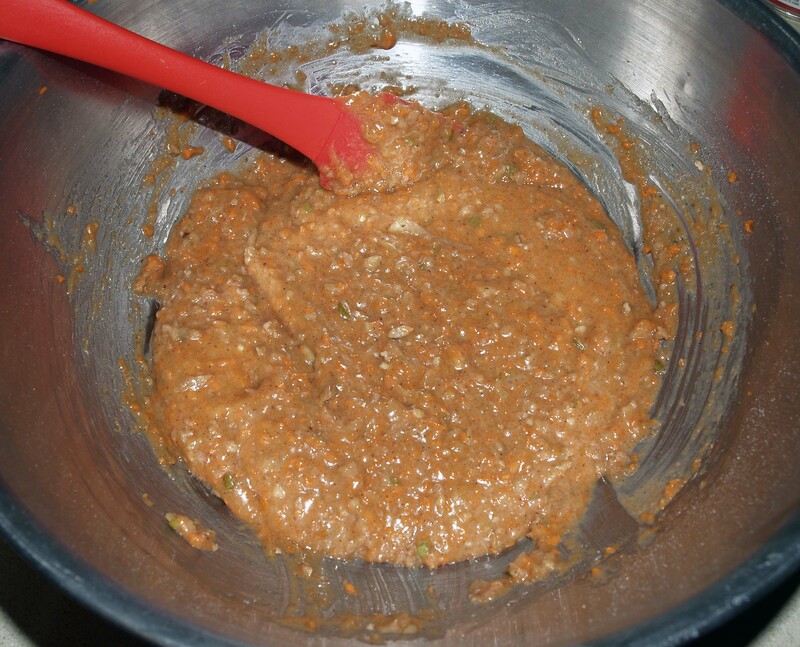 Stir the wet ingredients into the dry ingredients just until combined. 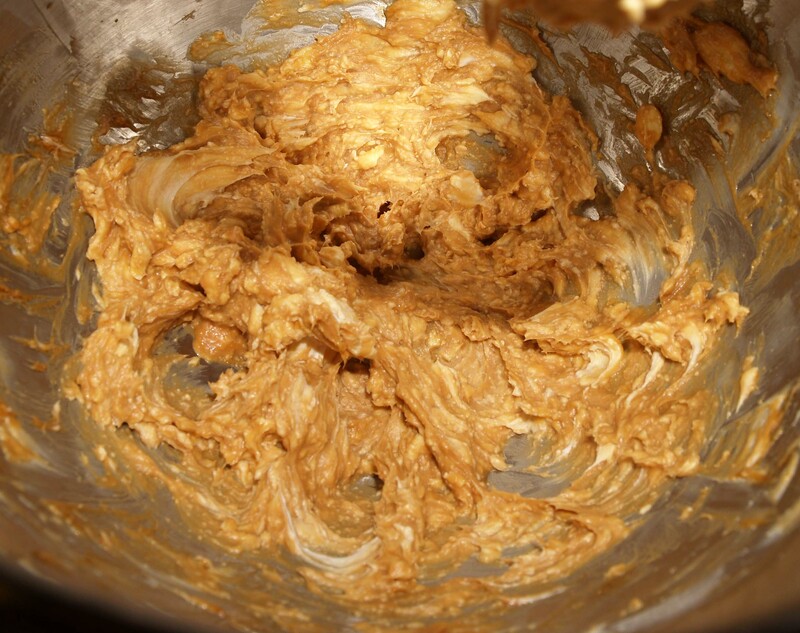 You do not want to overmix your batter. 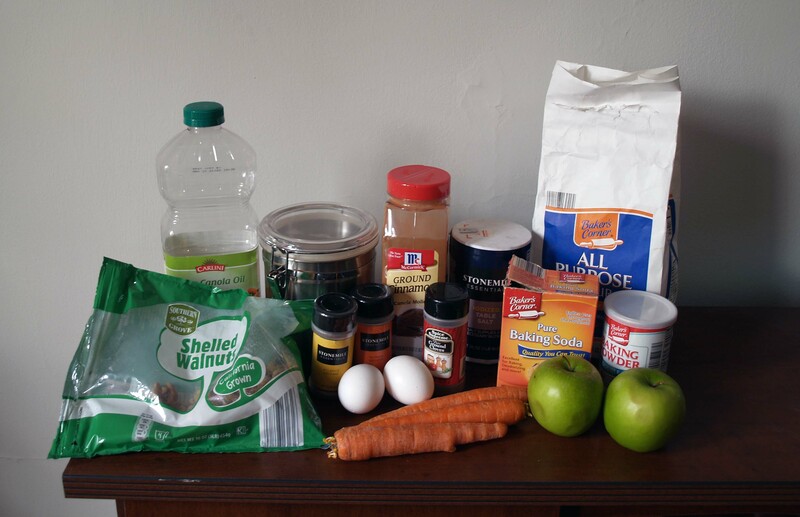 Stir in the carrots and charoset (or apples and walnuts). 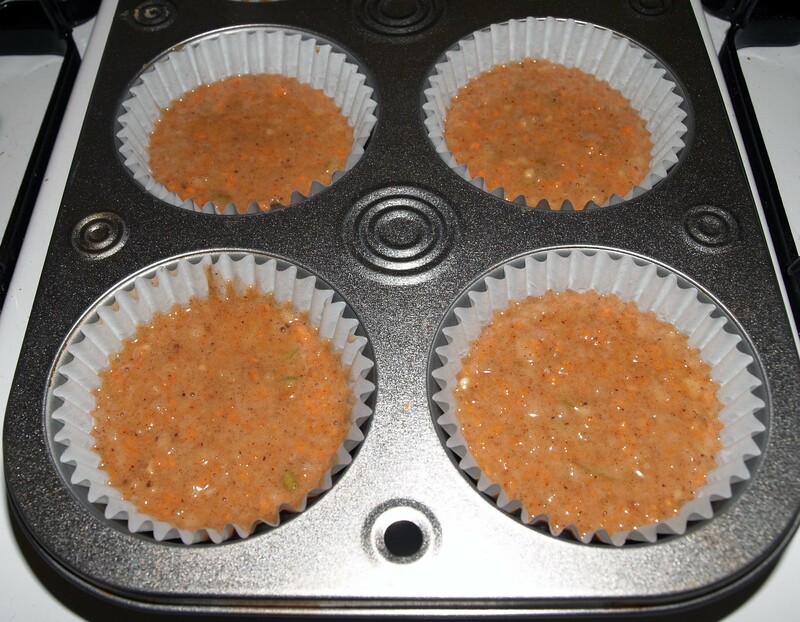 Line a muffin tin with cupcake wrappers and fill each approximately 2/3 full. 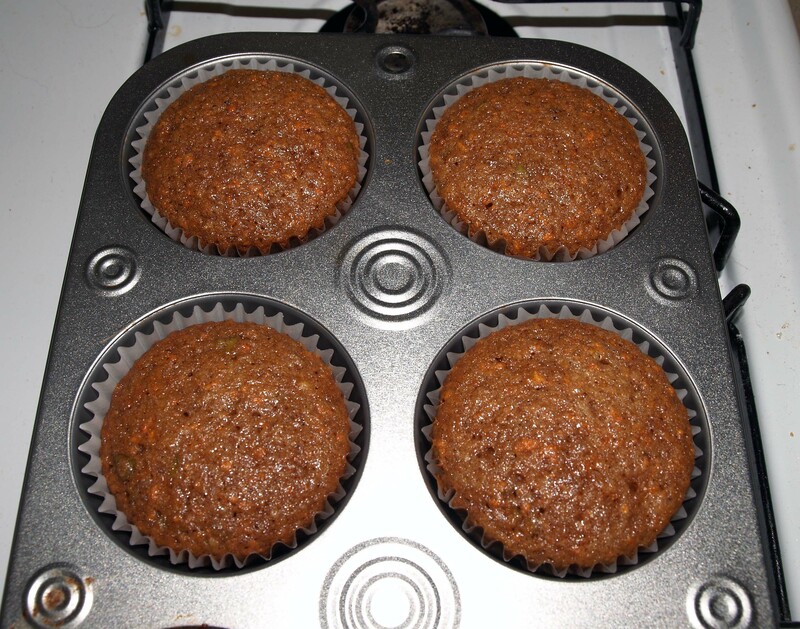 Bake for 16-20 minutes, or until a toothpick inserted into the center of a cupcake comes out clean. The tops should be springy to the touch. Meanwhile, prepare the peach filling. 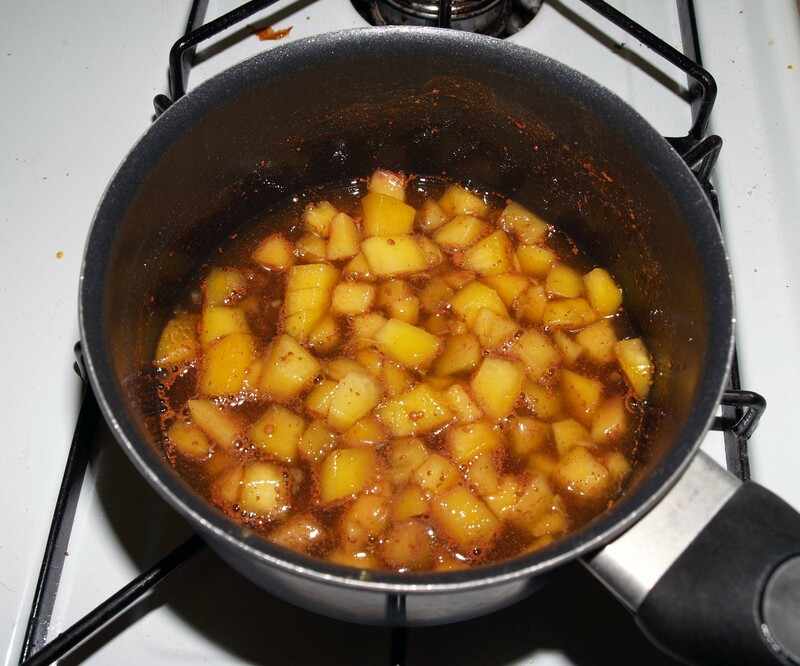 Combine diced peaches, bourbon, water, brown sugar, and cinnamon in a small saucepan. Bring the mixture to a boil over medium-high heat, stirring occasionally, then reduce the heat to maintain a simmer. 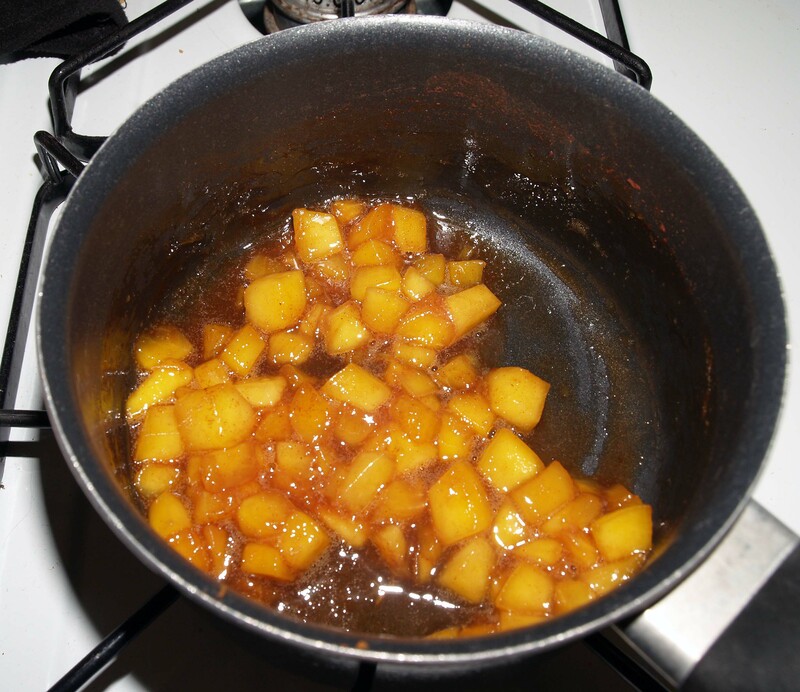 Simmer the peaches until the liquid begins to reduce and thicken, stirring when you remember. This should take 10-15 minutes. When the peaches have reached the desired consistency, remove them from the heat and let them cool completely. Be sure to let your peaches and cupcakes cool all the way before frosting them because a warm cupcake can melt your frosting. While it will still taste delicious, it will look like a hot mess. Keep this in mind when deciding when to start the frosting. When the cupcakes and filling are sufficiently cooled, they need to be cored and filled. I used a cupcake corer, but it would be easy enough to do with a paring knife or melon baller. Keep the pieces you cut out; you can cut off the tops to put back into the cupcakes. This will make it easier to get an even layer of frosting. My cupcake corer is approximately 1/2″ in diameter, but in the future I would probably use a slightly larger one. Once you have assembled your cupcakes, start the frosting. Beat the cream cheese, softened butter, vanilla extract, and molasses until combined. If you would like an extra kick of bourbon, you could add a little bit at this point (no more than a tablespoon so you don’t add too much liquid or overpower the flavors). Add in the powdered sugar 1/2 cup at a time, tasting after each addition (you may decide you want less than 2 cups). 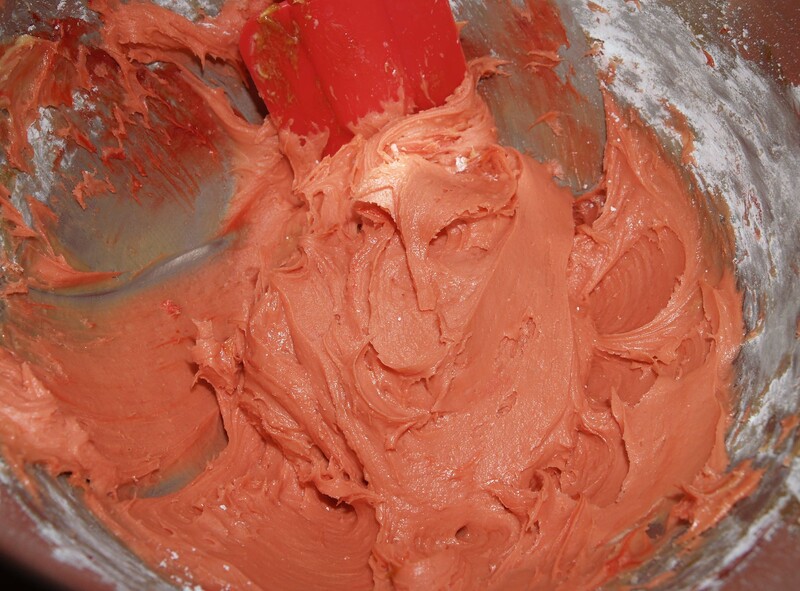 When your frosting reaches the desired sweetness and consistency, stir in red food coloring until you achieve the proper shade of red (to look like actual roses, you will probably want to add more than I did). 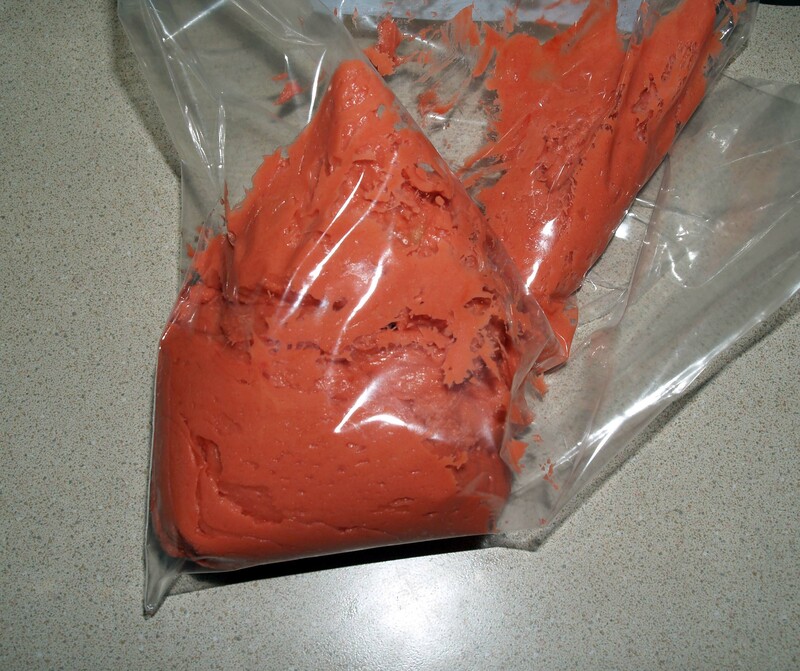 Load your frosting into a pastry bag fitted with a star tip and coupler, or (my old standby) a gallon plastic bag. If you are using the plastic bag, try to put all the frosting into one corner, then insert your pastry tip into the opposite corner (see photos). 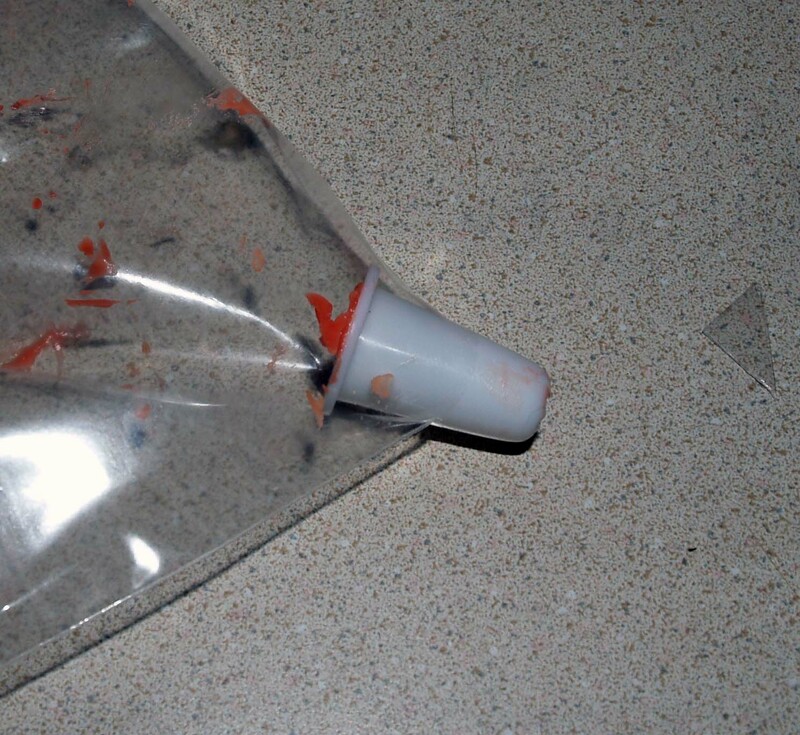 Cut the corner of the bag slightly smaller than the widest part of the decorating tip so it doesn’t fall out. 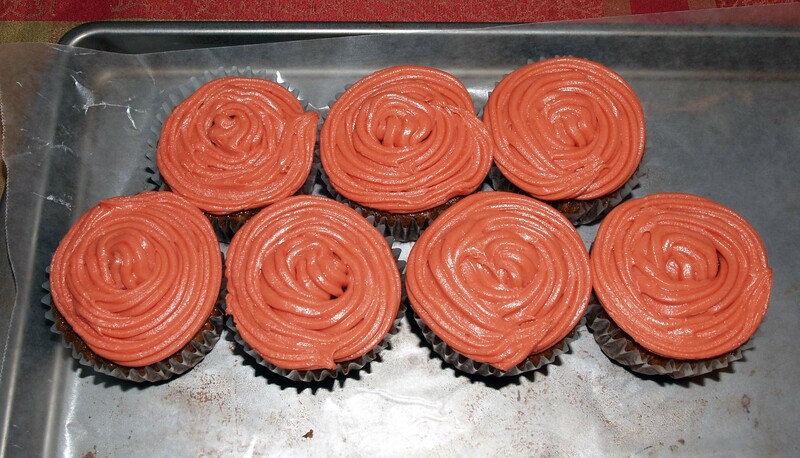 Pipe your roses onto the cupcakes, starting in the middle and spiraling out until you reach the edge. Now sit back, sip your mint julep, devour some cupcakes, and enjoy the races! Here’s to another Triple Crown winner! Pingback: Chocolate Cherry Cake with Molasses Cream Cheese Frosting | I Wanna Bake!